One of the best things about being a SAHM is getting to spend all day every day with my gal Sal. One of the hardest things about being a SAHM is spending all day every day with my gal Sal. I’m naturally a bit of a busy body. I like to be going and doing and accomplishing. I always have a mental to-do list that’s pages long, scrolling through my brain. 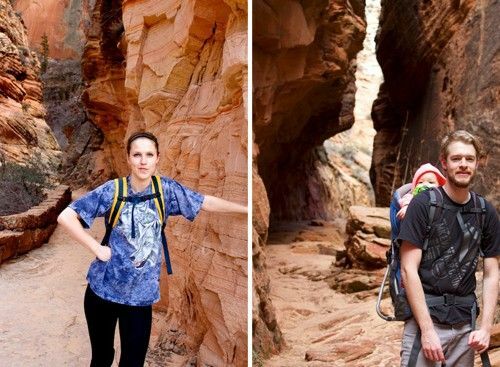 But when you’re a mom to a toddler, there’s really just one thing you can do most of the time — take care of the little munchkin. So I love when I can find ways to multitask when Sally’s awake. We do laundry together, grocery shop together, and from time to time, she even helps me sweep up all the food she’s thrown onto the kitchen floor. But for the most part, I find myself frustrated with the lack of things I can get done when Sally’s awake. One of my to-do list items is going running a few days a week. If I try to get a run in before Sally wakes up, which is usually around 6:30 or 7:00, I have to get up before the sun. And once Sally’s down for the night, I’m oftentimes so exhausted that I just want to veg on the couch with Johnny. The best option for me is to run when Sally’s awake. And I can either do that by running with her or by joining a gym. For me, running with Sally makes more sense. Since all I do is run, I wouldn’t even take advantage of the other perks of the gym membership. And a running stroller is a one-time cost, while a gym membership is a monthly fee. With a running stroller, I can also spend time with Sally in the great outdoors while getting in a good workout. So I was thrilled when BOB gave me the opportunity to try out their Revolution SE stroller. 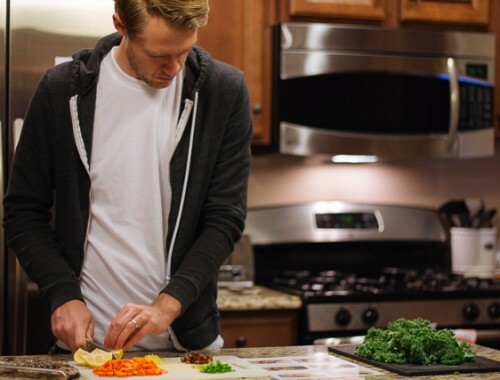 It has changed my life — at least during the hours I spend running each week. 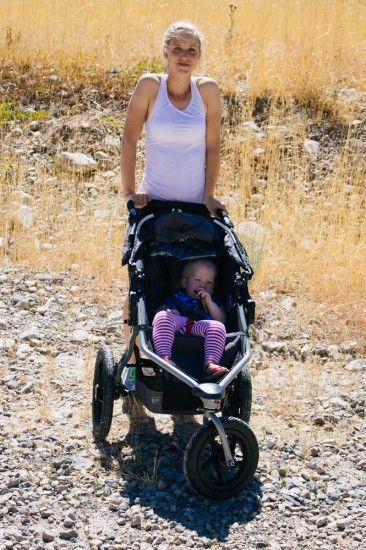 I’d heard great things about BOB strollers and I’d read great reviews on Amazon, but I had no idea just how much I’d love using their stroller on my runs. Before getting the BOB, I’d been using a stroller that wasn’t specifically a running stroller, and the difference in it and the BOB was downright crazy. CRAZY, I tell ya. On flat terrain, the BOB basically pushes itself. And going up and down hills, making turns, and going over bumps is seamless. I rarely even register that I’m pushing an almost 30-pound toddler for miles. I love the stroller so much that I’ve been using it in my day-to-day comings and goings, too. One of my main concerns was that I would think the stroller was too big. It does take up more space in our compact car’s trunk, but that’s probably more a knock against our car’s trunk than the stroller. It maneuvers so smoothly and folds up and down so easily that the size hasn’t even been an issue. I was also surprised by how comfortable it was for Sally. I was mostly wanting a stroller that made runs easier for me, but they make them easier for her, too. She enjoys a smooth ride, and she’s yet to complain even once. This stroller has been on my wish list since the day Sally was born, but the sticker shock always deterred us from considering it as an option. But having used one now and realizing this stroller is built well enough to last us through the next couple of babies, I’m confident that we’d come out way ahead with this stroller instead of a gym membership. 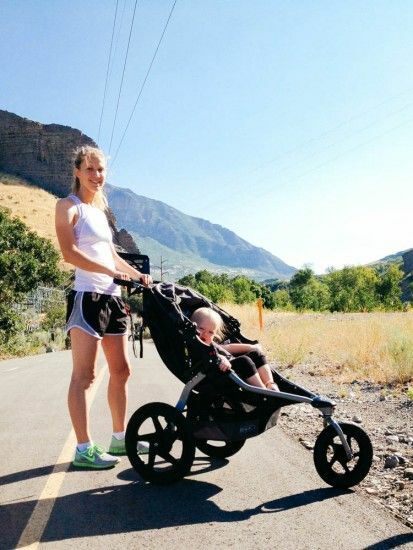 The bottom line is that this stroller might help active, running parents’ bottom line. In short, I’m having quite the love affair with the BOB Revolution SE. Sorry, Johnny. 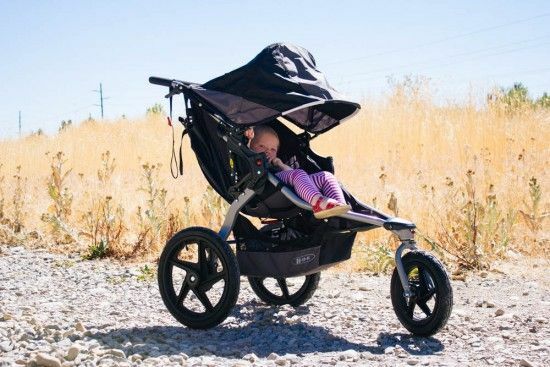 If you’re in the market for a jogging stroller that will stand the test of time and make running with your kid easy, practical, and AMAZING, the BOB might just be right for you. 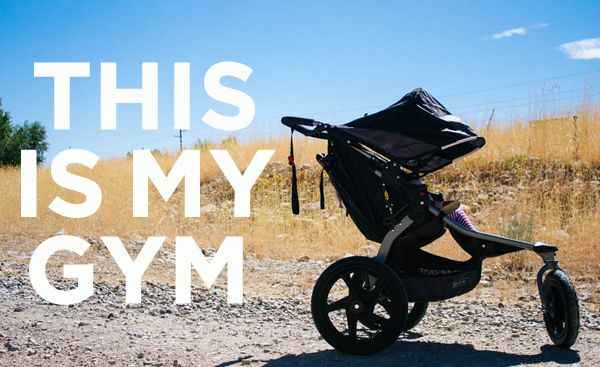 Any other running stroller moms or dads out there? *Heads Up/Disclosure: BOB was kind enough to provide the stroller, but we weren’t compensated to do this post. All opinions came straight from our own noggins, not some robot’s. We’re really enjoying it! It’d be something we’d have to save a long time for, but it’s been such a game changer for my running routine! I loved my single BOB Revolution so much once I had 2 kids I didn’t think twice about ordering the double! As you said total sticker shock but definitely worth it! I remember I got an amazing deal on our single on amazon when our first was about 6 months old (around Christmas). She hated her other stroller once she was out of car seat attachment and I think it was love at first sight for both of us when the BOB arrived. I was able to score the double for $450 a month or so ago. Another downside is they are HEAVY (especially double) and the double is hard to fit through doors and takes up a lot of trunk space. I have had a super hard time lifting the double in and out of trunkpostpartum (youngest is two months old). My husband wants me to sell single but I won’t because we can both run with older daughter right now in single. For now I use double for walking etc until youngest has the neck control for running. I still do not regret spending the $$$. Totally! I’ve already started thinking about the double for when we have kid number 2 (whenever that may be)! So I’m glad to hear you love it! And way to score an awesome deal on the double. WOW! I think they just let her test it. That’s why she says “Sorry Johnny”… They might be purchasing one in the future! Great to hear their review! After we tested it for the review, they were kind enough to let us keep it! I feel like Christmas came early this year! Win! Really happy that they let you keep it, I was going to suggest you save for it in spite of the money, since it sounded really worth it. we don’t have kids yet, but I’m very curious about the Phil and Teds strollers (purchased used, of course!) We live right next to a 5k jogging trail and I know I’ll want a jogging stroller when we get around to having kids. I’ve never heard of Phil and Teds! I’ll have to look into them! We have owned our BOB stroller for almost 7 years and it is still in wonderful condition after 2 kids. It’s actually still looks and works so well that we get to hand it down to my sister, who will be having a baby in a few months. My husband especially loves the stroller because he is 6’4″ tall and this is one of the only strollers we could find that was comfortable for someone of his height. Our youngest, 5 years old, actually still fits in it and when we are at a big park, our 7 year old will sit on the end of it when her legs get tired – so the single stroller sort of acts as a double. The BOB Revolution was, by far, the best baby purchase we ever made!!! Great to hear! 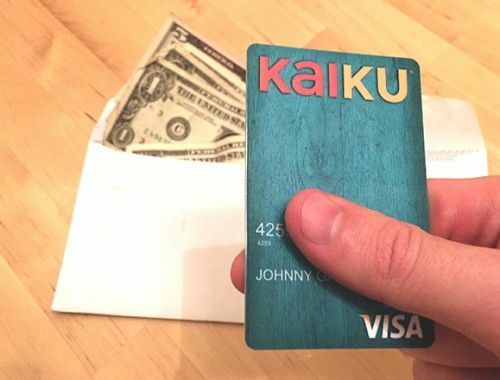 It seems super durable, but you never really know until you know! I agree… I’m already obsessed, and Johnny’s actually gone running with it, too. It’s a win-win for sure!